The Power Pack 2000 lets you keep your devices charged no matter where you are. This versatile charging device lets you charge tablets, e-readers, and other USB-enabled devices even when you don't have access to a power outlet or a computer. Simply charge the battery pack before leaving your house and connect it to your device using your charging USB cable whenever you need a charge. The Power Pack 2000 ensures that you'll always have an extra charge within reach. With its compact and lightweight design, it easily slips into any handbag or backpack. With the Power Pack 2000, you'll always have a reliable backup if you run out of charging options. The battery pack is rated for 2,000 mAh and remains charged for days after you last plugged it in. Use it to provide your phone with a quick boost for those times when you need to make a call or text. 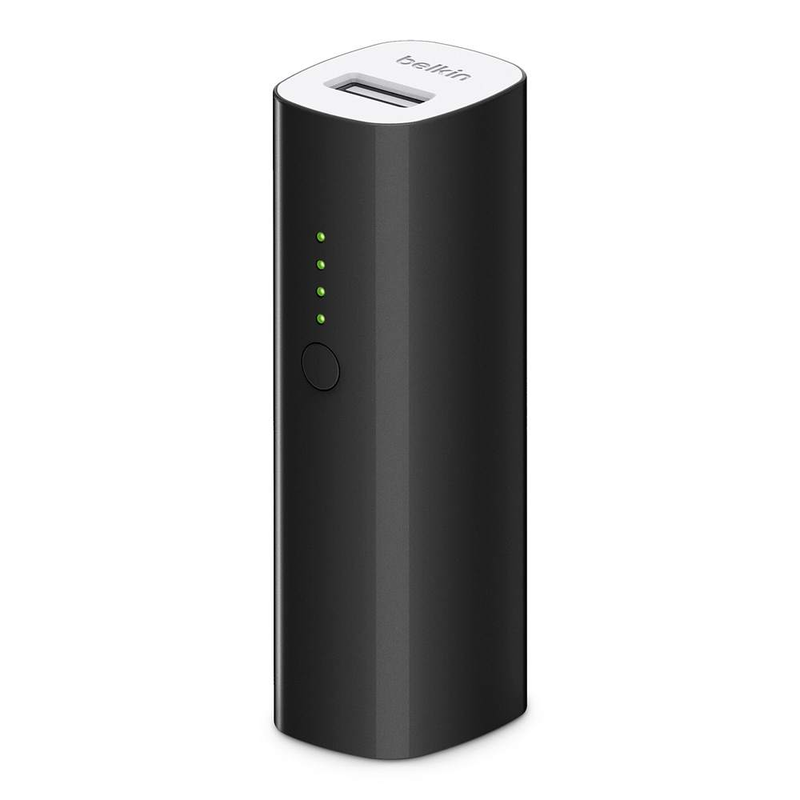 The Belkin Power Pack 2000 is compatible with any device that charges via a USB cable, including most tablets, smartphones, and additional devices that charge with a USB cable.